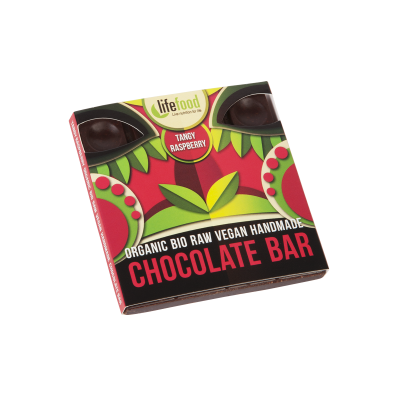 Fresh fruity zesty flavour of raspberries make this dark 63 % cacao mini chocolate to be true unforgettable sensual experience. A must try! 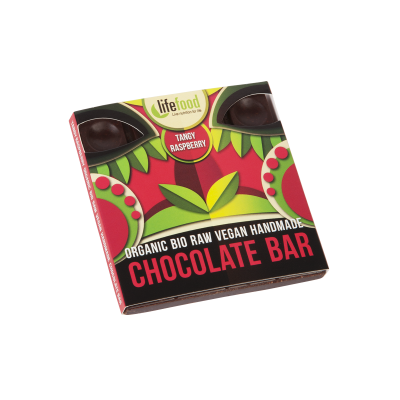 The fresh fruity flavour of raspberries make this 63 % cacao raw vegan chocolate bar a truly unforgettable sensual experience. A must try! A truly unforgettable sensual experinece! Raw Cacao Butter* (47 %), Dates*, Raw Cacao Powder*, Freeze-Dried Raspberry Powder* (10 %), Cacao Content (65 %).